Well, Hello there! 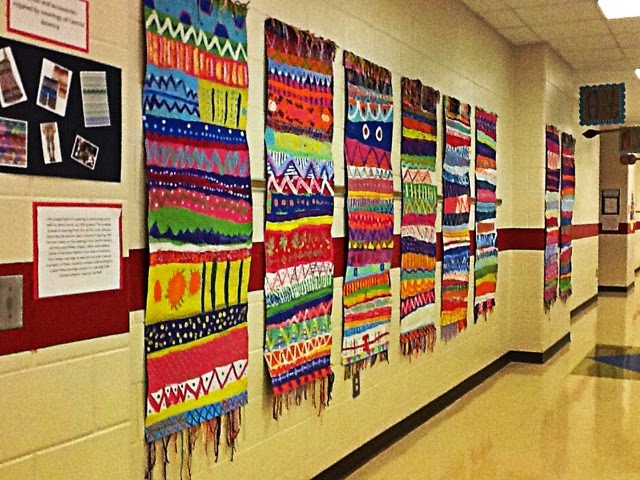 Welcome to the High Shoals Elementary School Art room blog. 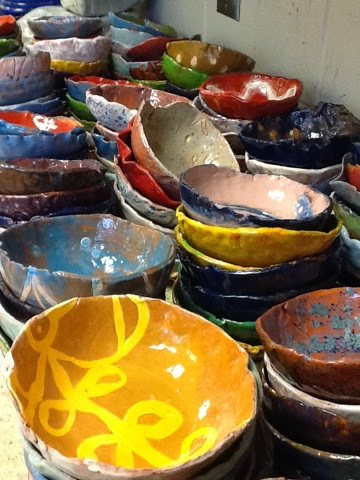 Come on in and see what we are up to! 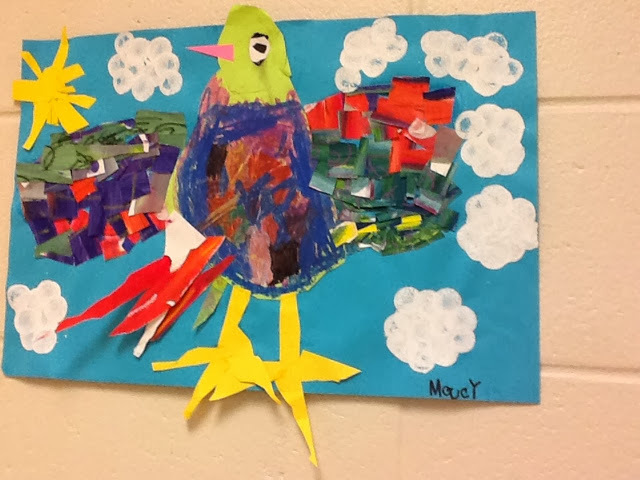 Kindergarten students always begin the year with the elements of art and this project focuses on line and shape. 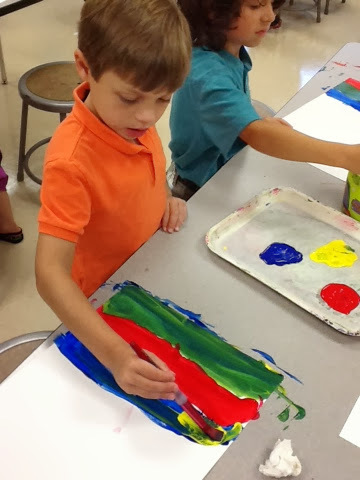 They started by painting different types of lines with several shades of blue paint. 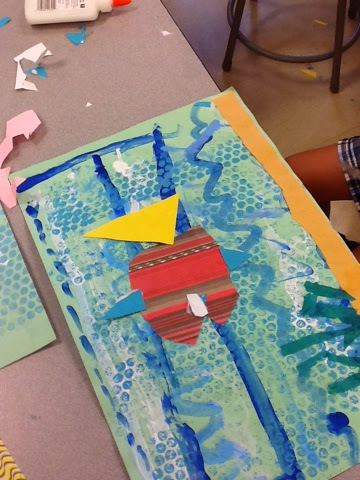 They were encouraged to makes a lot of lines and they could overlap and repeat lines to create the "water" for their ocean. 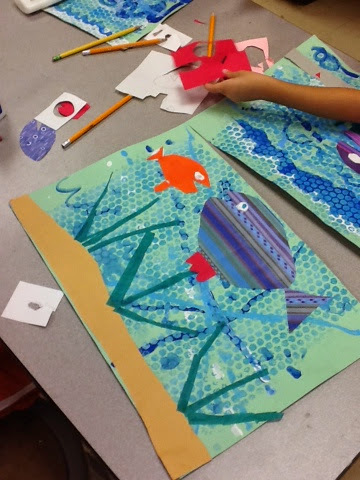 Next, they got to come over to the printing station and add some bubble wrap "bubbles" to their ocean. 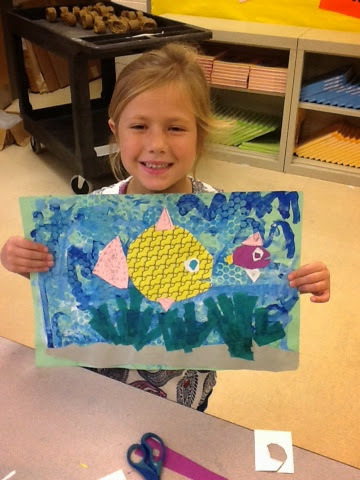 In the following classes we covered shapes and how we could use shapes to create a fish and other ocean life. 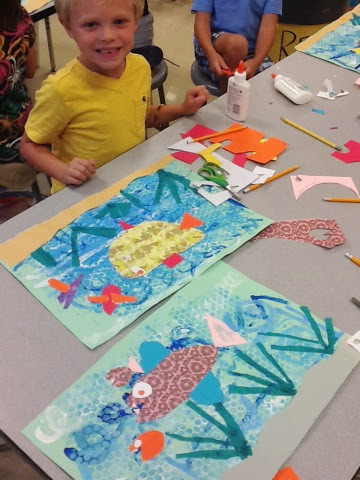 Students loved picking their favorite patterned scrap book papers for their tropical fish. 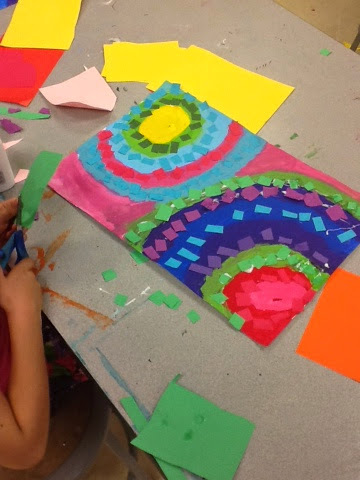 This was a great lesson to discuss proper painting techniques, cutting and gluing skills, and drawing and cutting on a line skills. 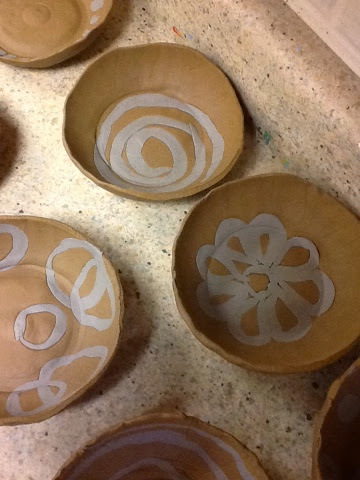 These aren't quite finished yet but are turning out super cute! 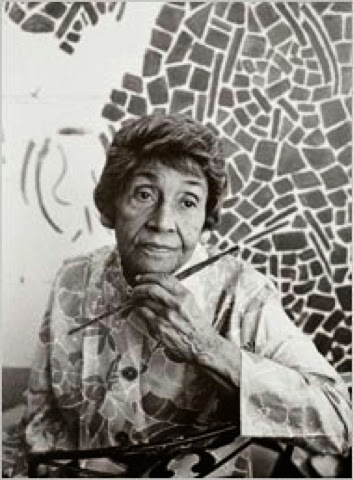 I LOVE Alma Thomas's work and my first graders do too. It's so vibrant and full of color. 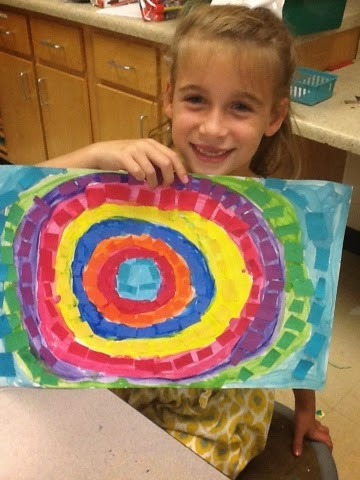 My first graders liked trying to Interpret her abstract work. 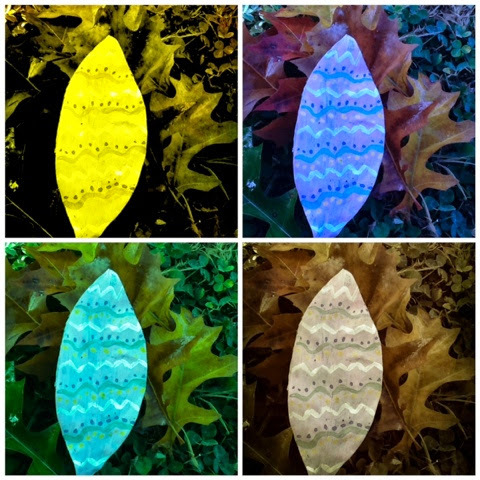 I have seen lots of Thomas inspired student work around the web including my sweet friend's from The Blue Horse blog. 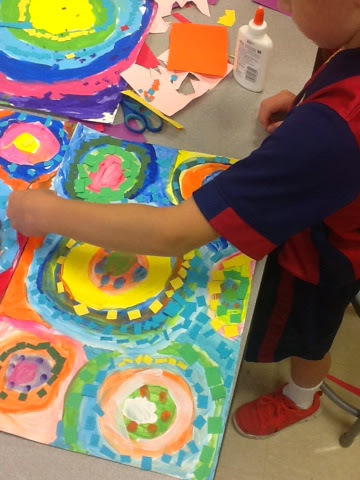 I decided to do my own spin on Alma Thomas's gorgeous work. 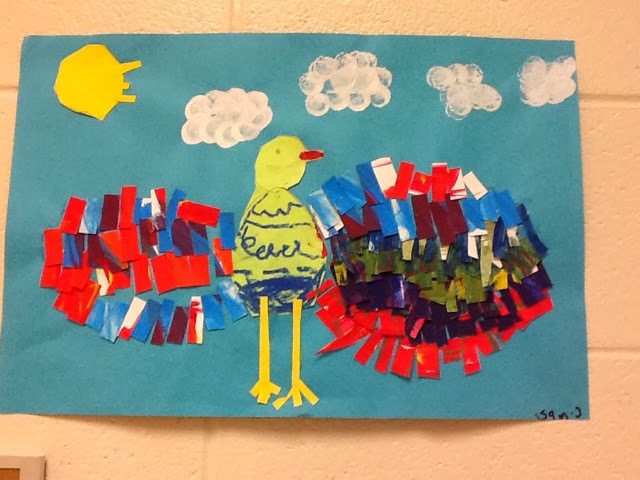 This was a great elements of art review for the kids and also a good fine motor, cutting, gluing task. I'm loving how these are turning out! I was NOT thinking when planning my first lessons for this year. 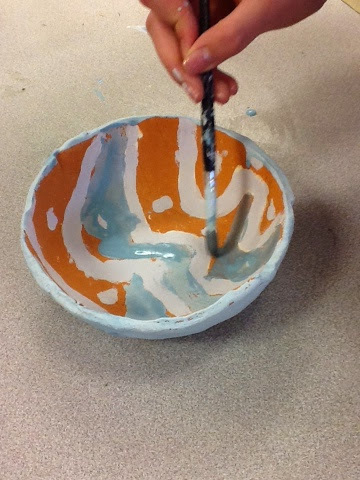 I somehow have created lessons where EVERY class is painting. 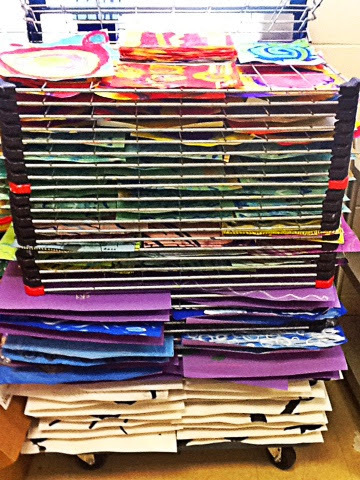 My drying rack is packed to the top at the end of each day and I am worn out from washing, wiping, and refilling all day. What was I thinking? We are back!!! Actually, we have been back several weeks and the days are flying by. 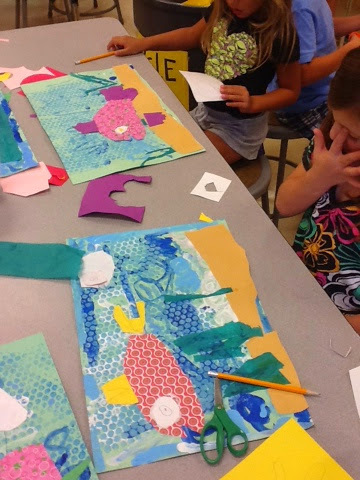 I always struggle with what to do with my students on the first day of art. I, obviously, cover rules and procedures but then what? I like to do something quick and fun to get them excited about the year. 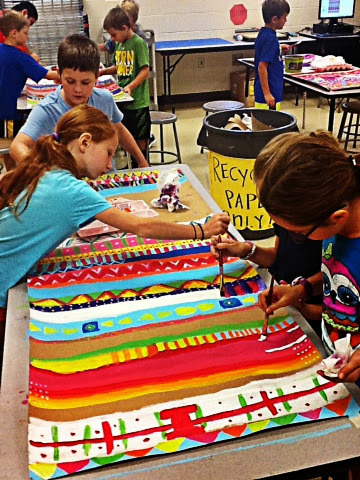 This time I decided to have my third, fourth, and fifth graders create a collaborative wall hanging to fill our stark new year walls. 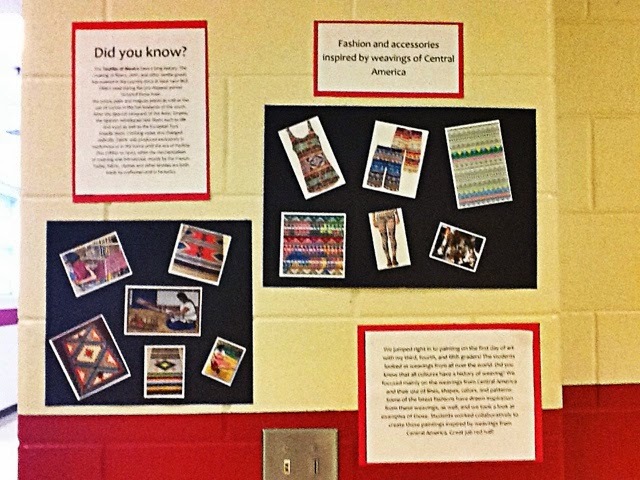 I quickly shared some weavings from Central America and we looked at some of the latest fashions inspired by these weavings. 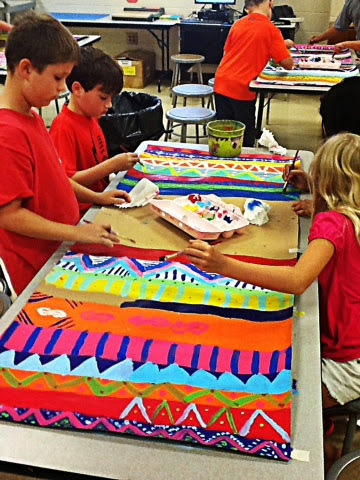 I think I had at least one child wearing an Aztec print in every class I taught! 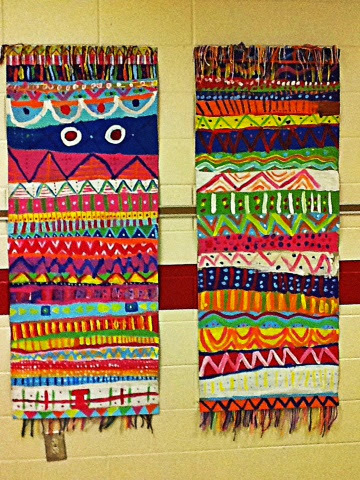 The students worked in groups adding their own rows of patterns to the "weavings". When a new class came in, they would just pick up where the previous group left off. Some of the last groups glued on the yarn fringe. 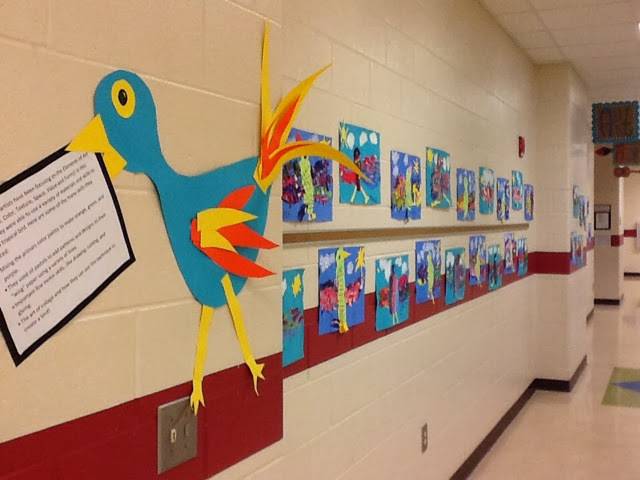 I love the pop of color they bring to our hall! I totally fell hard off of the blogging wagon. 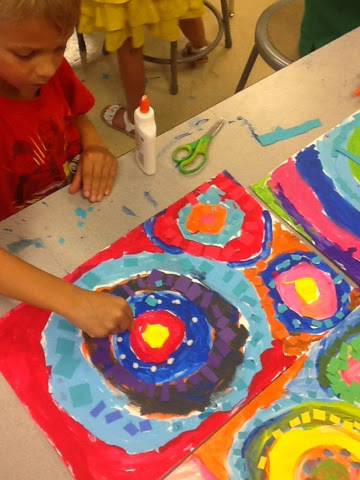 I am back for a new year and I HOPE to do a better job of reporting the awesome art my students are working on. 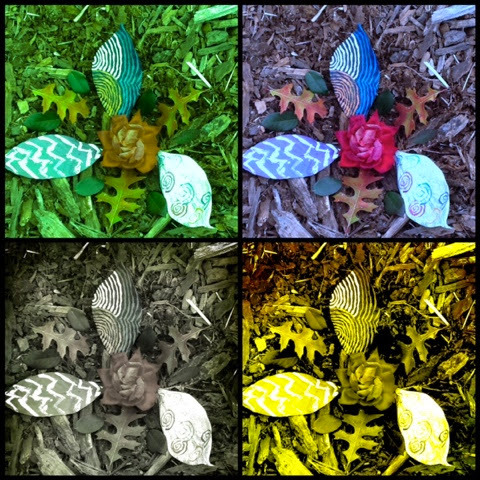 Until then, I will post pictures from last spring's projects. 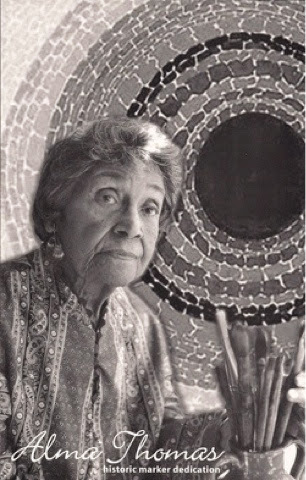 (because who wants to read an art blog post without pictures?) See y'all soon! Mine too! Happy Thanksgiving to you all! 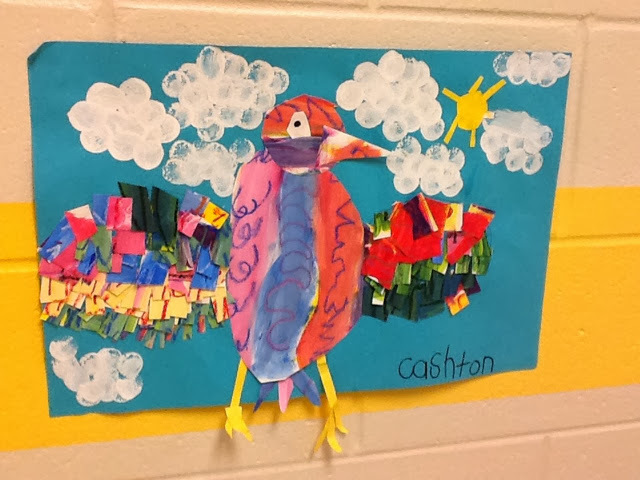 Students in kindergarten have been focusing on the elements of art. 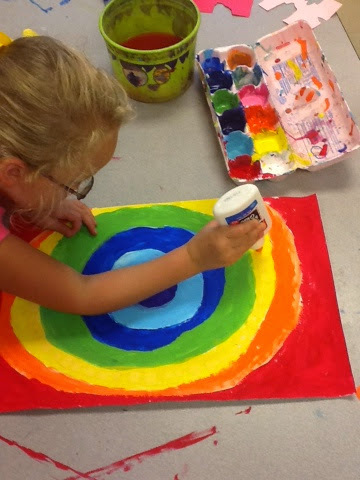 They started with a color mixing activity using red, yellow, and blue. 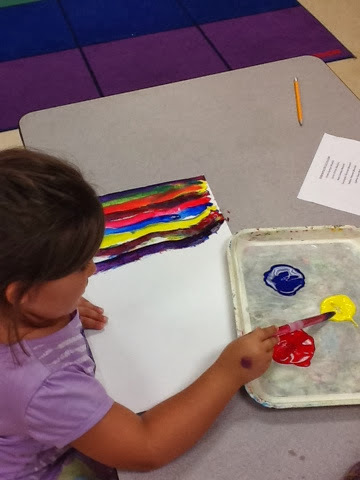 They mixed the colors on the paper and created a page filled with stripes of new colors. 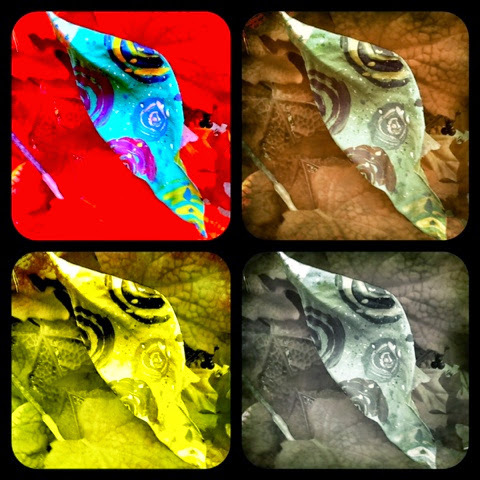 They were required to make green, orange and purple. 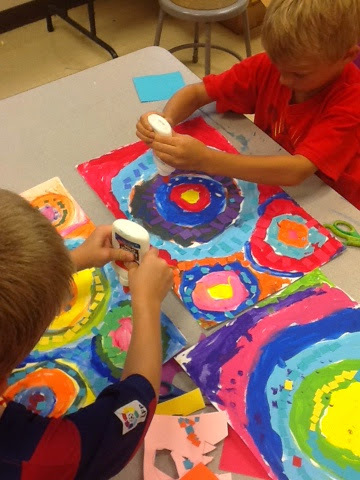 Later in the class I gave them some white paint so they could experiment with making tints. 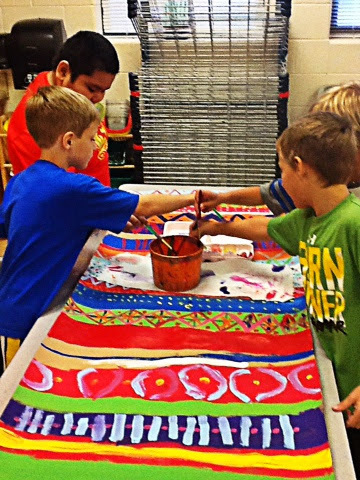 In the next class, they learned about different types of lines and added line designs with oil pastels on top of their painted stripes. The following classes were spent looking at birds of South America. We talked about shapes we needed to use to create a tropical bird. 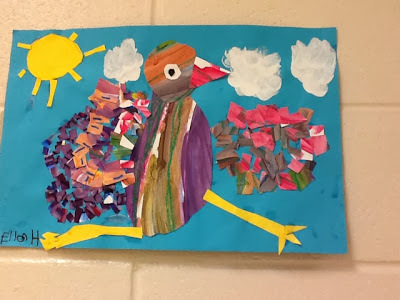 After making the head and body, I taught them how to cut strips from their rainbow paper to make feathers for their bird. 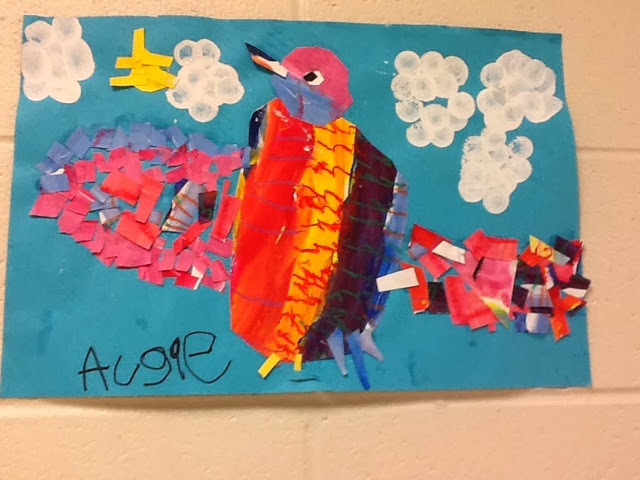 This step took several class times but was a great lesson in fine motor skills as well as appropriate glue usage. 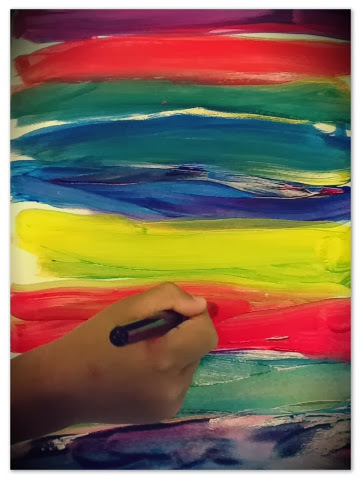 This was a great multiple step lesson with tons of opportunities to improve their fine motor skills. 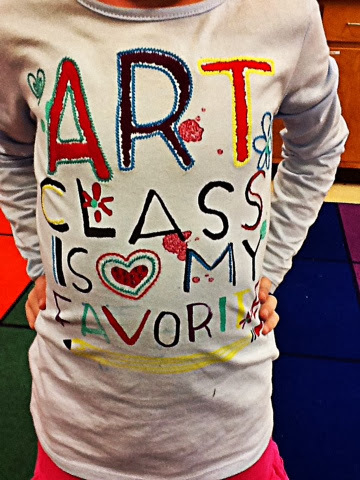 You can't spell cARTer without ART! 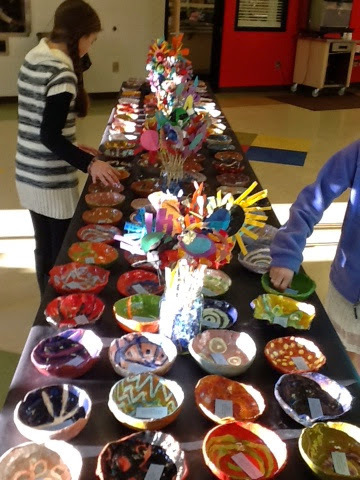 My name is Bess Carter and I am the art teacher at High Shoals Elementary School in Watkinsville, GA. HSES is a K-5 school with about 450 students. 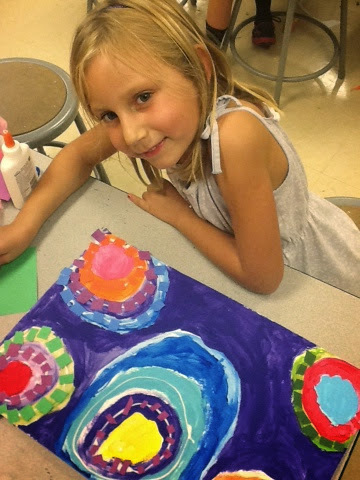 I am a wife and mother of 4 and I love teaching art! 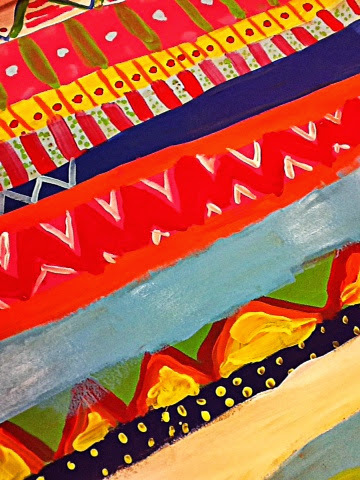 I am attracted to all things big, bold, and bright. I am the self proclaimed "Queen of Collage" and tend to create lots of mixed media art with my students. 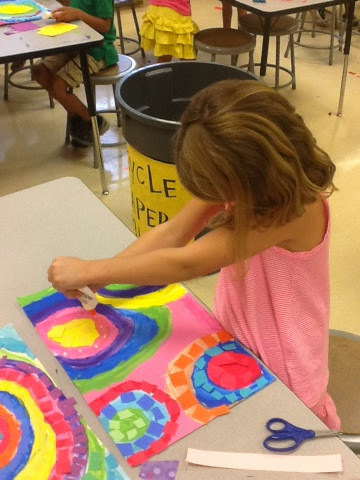 I hope to use this space to share what my kids are making and the fun things happening in my art room. Thanks for stopping by and leave a comment if you like what you see!